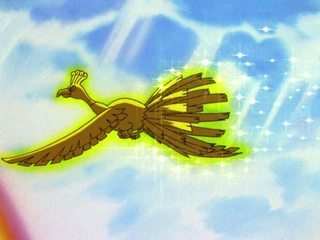 In the first episode of pokemon, Ash sees a Ho-oH flying overhead, yet it wasn't known about (at least by Prof. Oak) until the second generation of pokemon. When Ash hatches a Pokemon egg and gets Togepi in "who gets to keep Togepi", the pokedex comes up with nothing apart from a name. User Caciulacdlac on Bulbapedia has compiled a list of Pokemon that appeared before their generation starts airing. I assume the Japan broadcast date is used as the criteria. The whole answer below is mostly based on the link above, and several other articles on Bulbapedia. All the dates cited below will be Japan broadcast dates. Episode numbering will follow the numbering used by Bulbapedia. Episode 117, aired on October 14, 1999, marks the start of the The Johto Journeys (season 3), and also the start of generation II. The Pokemon listed below are from generation II, but appeared in the anime before the journey to Johto started. The first episode of Advanced Generation series, aired on November 21, 2002, marks the start of Pokémon: Advanced season (season 6), and also the start of generation III. The Pokemon listed below are from generation III, but appeared in the anime before generation III (to Hoenn) started. 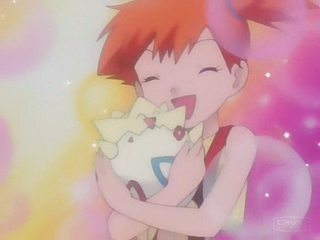 The first episode of Diamond and Pearl series, aired on September 28, 2006, marks the start of Pokemon: Diamond and Pearl season (season 10) and also the start of generation IV. The Pokemon listed below are from generation IV, but appeared in the anime before the journey to Sinnoh started. The first episode of Best Wishes series, aired on September 23, 2010, marks the start of generation V. The Pokemon listed below are from generation V, but appeared in the anime before the journey to Unova started. 2 Appeared as image only. The first episode of XY Series, aired on October 17, 2013, marks the start of generation VI. The Pokemon listed below are from generation VI, but appeared in the anime before the journey to Kalos started. What makes an Ultra Ball different from the basic Poké Ball? What anime/manga are the sword and the dog in this image from?